Baltimore Youth Arts, which is run by artists, provides artistic and professional opportunities to teens; it tries to empower them to become leaders in their communities. 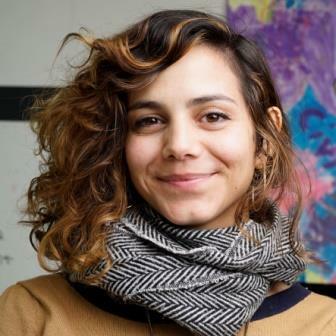 Gianna Rodriguez, who started Baltimore Youth Arts, has just received a community fellowship from the Open Society Institute Baltimore. Like the nine other fellows, Rodriguez will receive $60,000 over the next 18 months to fund a local project. The nonprofit Open Society Institute focuses on the needs of Baltimore’s underserved communities, and Gianna Rodriguez’s project focuses one such community: formerly incarcerated young people who have returned to their communities. The civil war in Syria has been raging now for five years. In that time, more than 450,000 Syrians have been killed. Half the country’s population has been displaced. The Syrian government officially reclaimed the city of Aleppo from rebel forces last week. The world watched as desperate civilians in the city pleaded for help on social media. The final round of evacuations appear to be underway now but the effort has been halting and the future is uncertain even for those who have escaped Aleppo. What has it been like for Syrians outside the country to watch the suffering there? Do the images we see in the media square with the place they know? Civil rights lawyer and journalist Alia Malek joins us. She was born in Baltimore to Syrian immigrants, and she lived in Damascus for several years at the start of the civil war. Her memoir about the history of her ancestral home in Syria will be published in February, with the title "The Home That Was Our Country: A Memoir of Syria." More than 900 people were shot in Baltimore last year, 301 of them fatally--the deadliest year in the city’s history. The violence has barely abated. So far this year, more than 260 people have been fatally shot in Baltimore. The vast majority of the victims are young black men, and many of them end up at the University of Maryland’s R. Adams Cowley Shock Trauma Center. What if there were a way to save more of their lives? A surgeon at Shock Trauma thinks he has found a way. But the technique is both controversial and ethically fraught. Freelance writer Nicola Twilley recently wrote about it for The New Yorker Magazine, in an article titled “Can Hypothermia Save Gunshot Victims?” She joins us. Then, Harriet Washington, a medical ethicist and the author of “Medical Apartheid: The Dark History of Experimentation on Black Americans from Colonial Times to the Present” shares her thoughts on the new technique. Baltimore City Schools CEO Sonja Santelises announced last week that the school system faces a $129 million deficit in next fiscal year's budget. What might this mean for filling vacancies or upgrading facilities? How might the school board approach a budget deficit of this magnitude? We speak to two former city school board members, David Stone and Kalman “Buzzy” Hettleman.